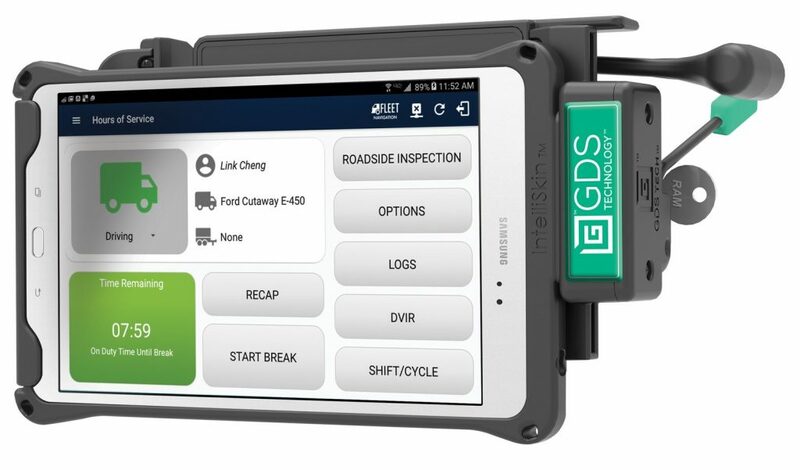 Samsung Electronics America has partnered with GPS navigation provider Magellan to deliver an ELD-compliant hours-of-service tracking solution for short and long haul trucking. Samsung mobile devices will now be part of Magellan’s fleet management solutions portfolio as part of an agreement between the companies. Magellan’s fleet solutions can be integrated and pre-loaded across a range of Samsung mobile devices, requiring minimal installation for drivers and offering device flexibility for fleets. They are available on the Samsung Galaxy E and Galaxy A tablets, as well as select Galaxy S7 smartphone models. ELD-compliant Hours of Service: Magellan’s FMSCA-certified hours of service offers automated logging tools, reports, and alerts to keep drivers on time and in compliance. A dispatch and backend web portal allows for HOS, DVIR and IFTA reports, while on-device data transfer and co-driver support makes roadside inspections more simple and efficient. Magellan Fleet Navigation: Magellan’s commercial fleet navigation software delivers truck-specific map data, ranging from maximum vehicle heights on bridges to roads allowing hazardous containers. Combined with Magellan’s routing engine, the solution provides a safety-focused navigation experience for truck carriers. Multi-Purpose Use: In addition to fleet use, the solution also serves as a personal device that offers access to a driver’s favorite content, such as movies, books, and music, for downtime while on the road.